Hartpury RFC will be hoping to make another little bit of club history when they travel to play Rosslyn Park, of leafy South-West London, in round 24 of this year’s National League One odyssey. It is a ground where they have yet to record even a losing bonus point, having under-performed there in each of the past two seasons. Last term, the Gloucestershire side fell to a 26-18 defeat, despite fielding a team that included young Gloucester Rugby talents Mat Protheroe (pictured), Ben Vellacott and flanker Dan Thomas. “Added to that, Park are in very good form at the moment. They were definitely one of the pre-season favourites for the league but they had some coaching changes to contend with, early on, that probably upset their rhythm. Since then they have settled down and done well. In their last nine games they’ve only lost once, away to Moseley, so we know we’ll have our work cut out for us on Saturday”. 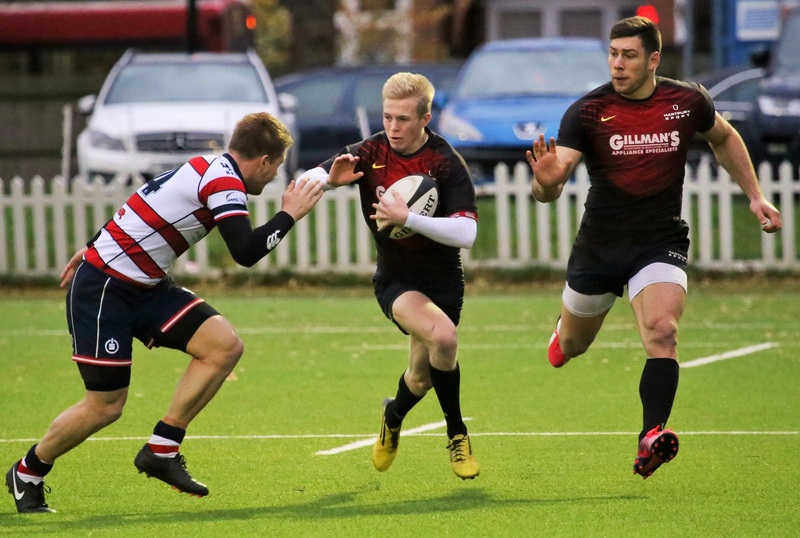 Rosslyn Park’s last outing was an impressive 36-15 victory at another strong South London outfit, Blackheath, while Hartpury were far from their best in defeating Cambridge 45-36. Team news is generally good. Forwards Joe Batley and James Stephenson have recovered from their nasty clash of heads in the Cambridge win, while centre Steve Leonard is expected to recover from a slight injury picked up playing for England Counties last Friday, a game in which he scored. There is more concern over fullback Mike Wilcox, who suffered a dead-leg in the same match, although no decision on his participation against Rosslyn Park is expected until the end of the week. In reality, the equation for Hartpury is pretty simple – six more points will give them an insurmountable lead at the top of the table and anything at all from Saturday’s fixture will mean that the next home game, with Old Albanian on March 11th, could be the date on which promotion is clinched. That, however, will not be the immediate focus as the side fight to retain their remarkable unbeaten record for the season, with just seven matches to play.